Cost is $10 for the first hour or part hour and $5 an hour after that. 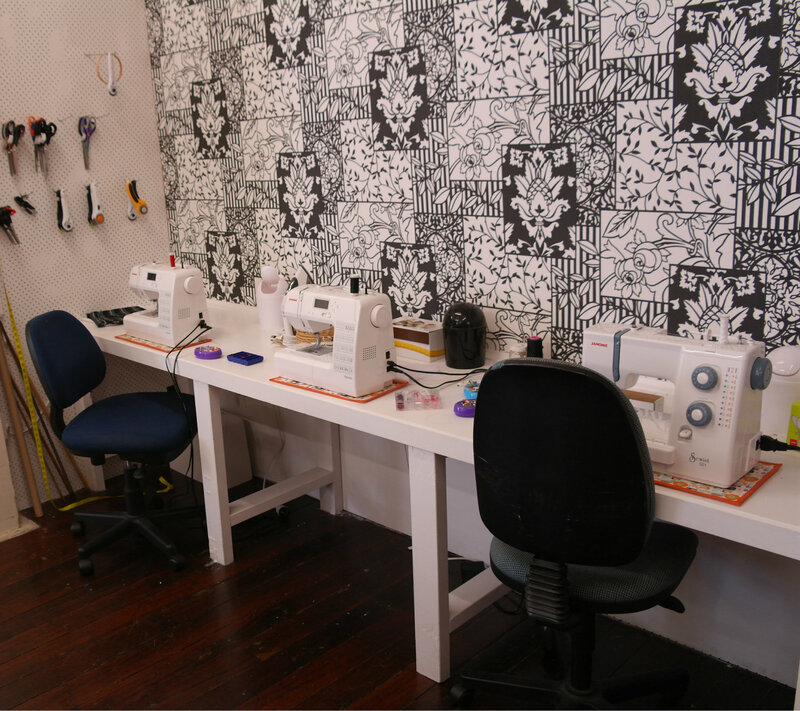 Hire includes the use of snips, scissors, unpickers, bobbins, iron and ironing board etc but does not include threads or other consumables, which you can purchase from the shop. 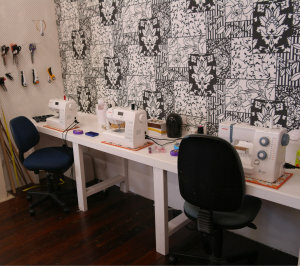 Threads and other consumables in the sewing area are there for the use of classes only; please respect this. We are happy to recommend the best machine for your task, and to show you how to thread it. However the service is not suitable those who are not already confident sewing machine users. 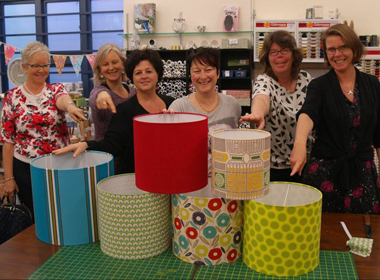 If you would like to learn to sew, we have fantastic beginner classes! So whether you want to repair your sleeping bag or jeans while travelling, or tailor a suit, do feel free to come in and enjoy some practical creative time with us. * Subject to availability, which may be limited during scheduled classes. As these are mostly after shop hours or on Saturdays, there is plenty of free time. If in doubt, do feel free to call us first on 04 801 5850.